To The Bones to play Manchester with Eureka Machines – March 28th 2014. 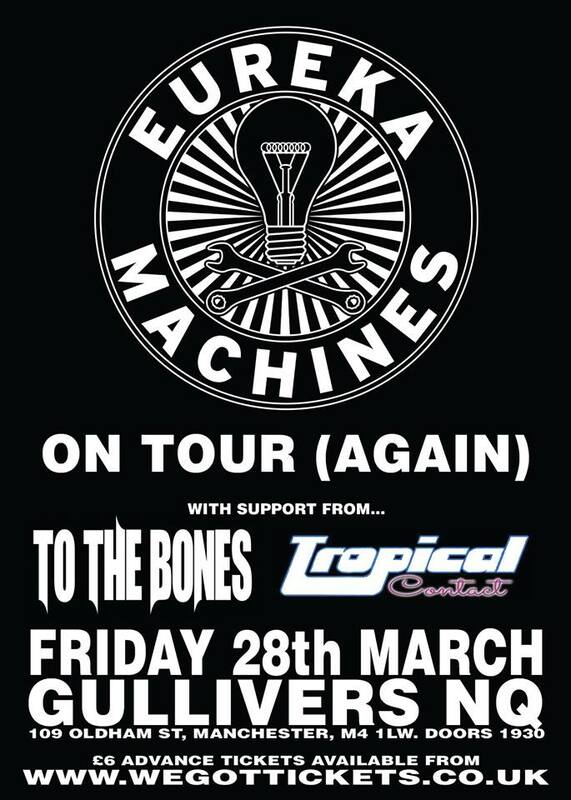 To The Bones will be performing GULLIVERS in Manchester with the awesome EUREKA MACHINES on March 28th. Also on the bill is ‘Tropical Contact’. Tickets for the event are on sale now and already going quickly, be sure to reserve your place now before all the tickets clean out. All that for a meagre six quid too. You’re bloody spoilt, you lot. To The Bones – Live Review at Desertfest 2014 by RoomThirteen. We played a gig recently in Manchester. Here’s what Daily Dischord thought….